Suggesting a meeting at the ting is always a good, if slightly cruel, test of garden knowledge. 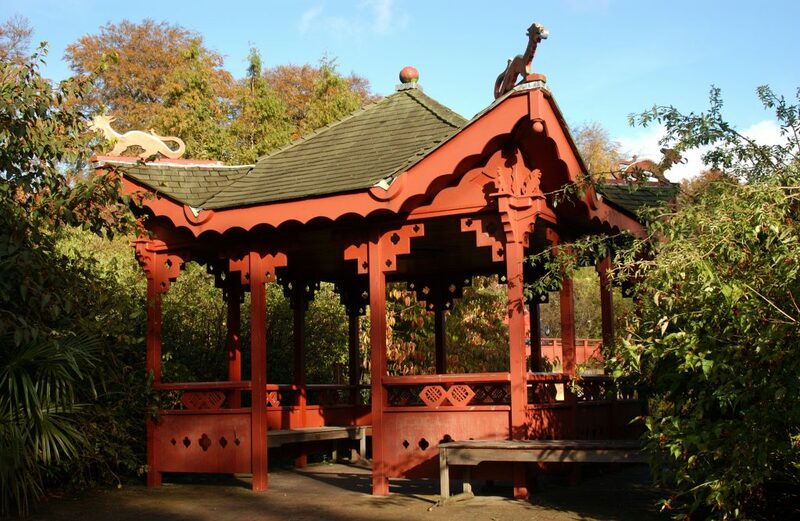 Many visitors and quite a few staff don’t know that the correct name for a single story Chinese pavilion is a “ting”(亭) but everyone knows the red structure on the Chinese Hillside. It is just next to the pond and a great place to shelter from the rain – and maybe even catch sight of the kingfisher. Or at least it used to be a good place to meet. 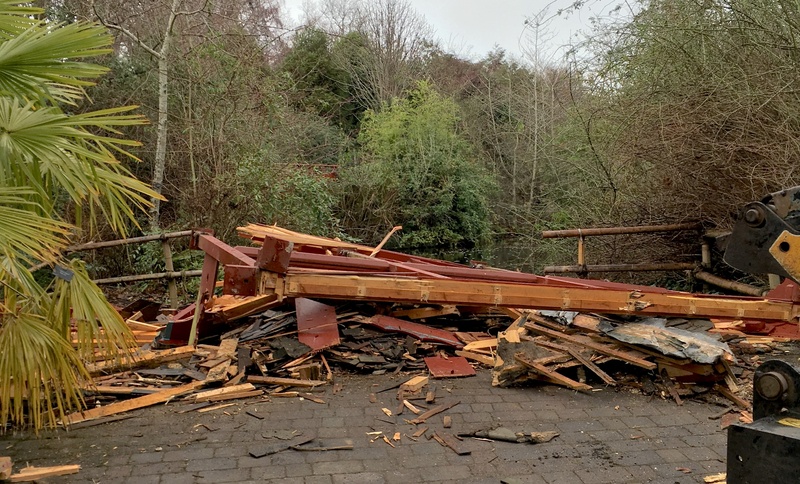 Early one February morning it was unceremoniously, but not without a little sadness, demolished. The red ting dated from when the Chinese Hillside was established. It was there at the official opening by the Princess Royal in 1997. After twenty years some of the wooden pillars had become quite rotten at the base and so, with the support of the Edinburgh Chinese community, it was decided to replace the locally made wooden structure with a marble one from China. Stronger foundations will be going in over the next few weeks and the new ting should be in place by early summer. But all has not gone. Key architectural features such as the engraved glass were saved and may appear again in other garden structures. 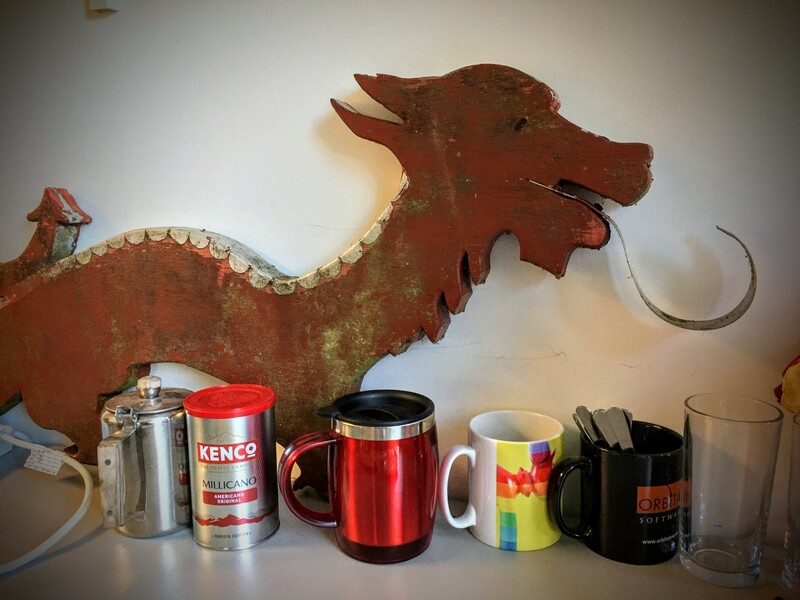 One of the dragons has taken up residence by the coffee mugs in one of the offices – an auspicious sign! 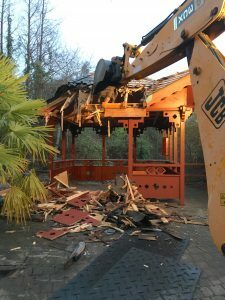 Sad to see this go, a lovely feature of the garden, but looking forward to seeing and using its replacement. I will have to remove a photo from my talk on RBG Edinburgh. Do let us know when it is replaced.